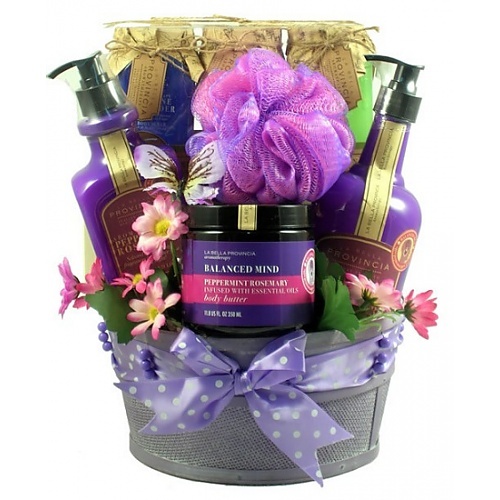 An aroma therapy gift basket to spoil her senses and treat her taste buds - what more could a girl want? This charming aroma therapy gift basket offers her something enjoy on every level and indulges her inside and out! It features delicious gourmet sweets, and a large collection of pampering aroma therapy bath products. This one is sure to be a relaxation gift basket that gets both remembered and appreciated.